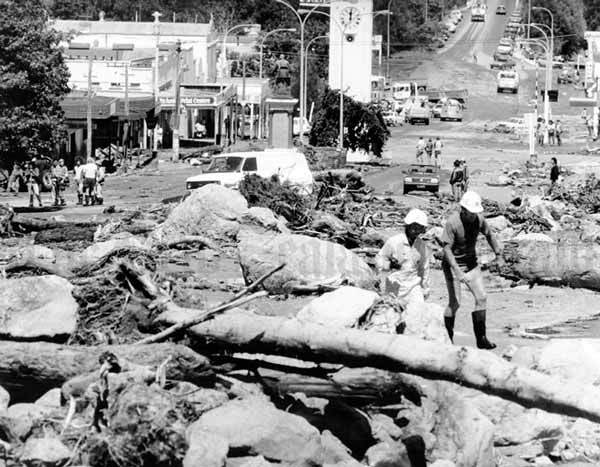 A flash flood on 17 February 1985 swept boulders, mud, trees and other debris through the small town of Te Aroha. Three people died in the flood, and a girl was swept away by the torrent – six hours later she was found alive in a tree 1.5 kilometres away. Most shops in town and more than 50 homes were damaged.